Waverly Deane Embroidery in the flax colorway. 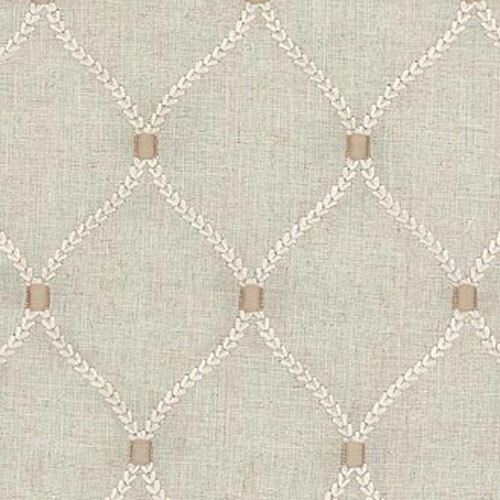 An embroidered geometric design with ivory and light tan thread on a barely there oatmeal background. Very subtle colors. This fabric is suitable for window treatments, cornice boards, bedding, headboards, table toppers, wall coverings and decorative pillows. STUNNING fabric!! !